For decades, it has been assumed that the Chinese Softshell Turtles from East Asia all belonged to one and the same species, Pelodiscus sinensis. Widely distributed all the way from the Russian Far East through the Korean Peninsula to China and Vietnam, the species was said to vary substantially in terms of its looks across localities. However, around the turn of the century, following a series of taxonomic debates, scientists revalidated or discovered a total of three species distinct from the 'original'. 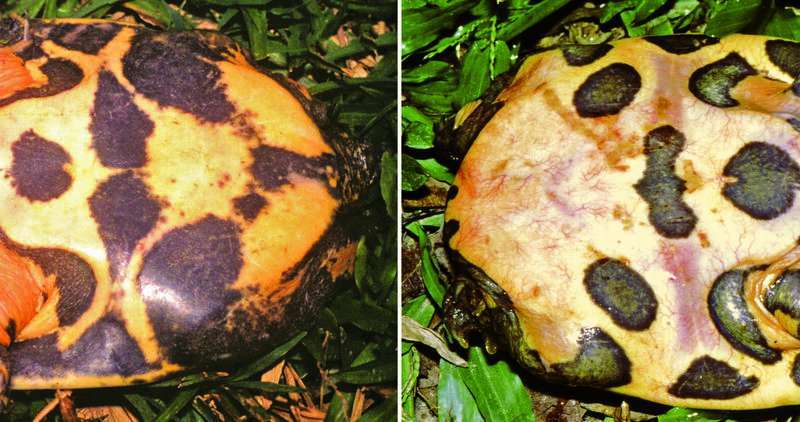 The new species, which differs both genetically and morphologically from the other four, has well-pronounced dark blotches on the underside of its shell. The markings are also the reason why these turtles are going by the scientific name Pelodiscus variegatus, where "variegatus" translates to "spotted" in Latin. "This morphological feature, among others, led to the discovery that these animals belong to a hitherto undescribed species," explains Professor Dr. Uwe Fritz of the Senckenberg Natural History Collections in Dresden. Unfortunately, the identification of multiple species within what used to be a single one has its potentially ill-fated consequences. While the Chinese Softshell Turtle was once considered widespread and not threatened, each newly discovered species "reduces" the individual population numbers. "When we look at each species, the distribution range as well as the number of individuals is much smaller than when all were combined. 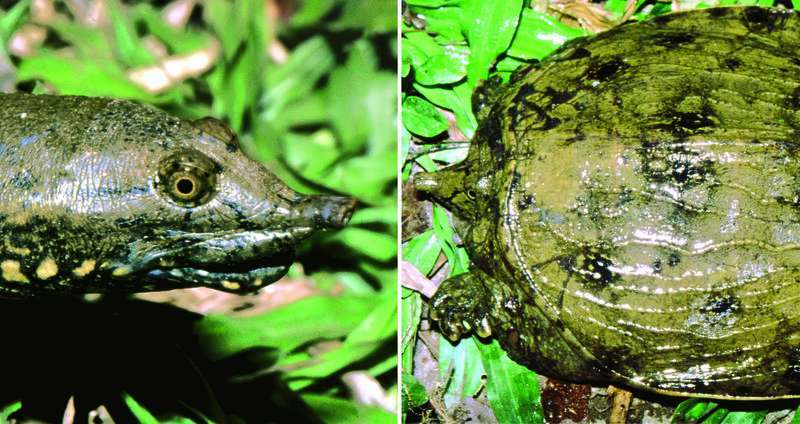 Until now, the newly described Spotted Softshell Turtle was considered part of the Lesser Chinese Softshell Turtle Pelodiscus parviformis, which was discovered by Chinese researchers in 1997. Pelodiscus parviformis was already considered critically endangered. 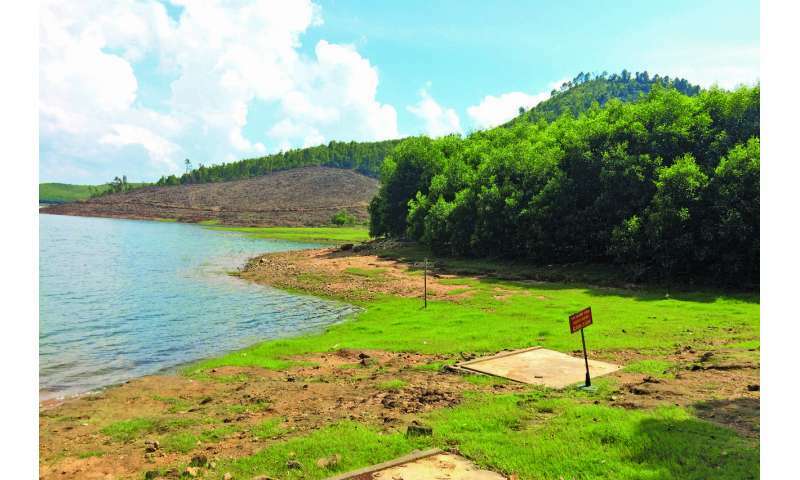 Now that its southern representatives have been assigned to a different species, the Spotted Softshell Turtle, the overall population size of each species is even smaller," explains Balázs Farkas, the study's Hungarian lead author.